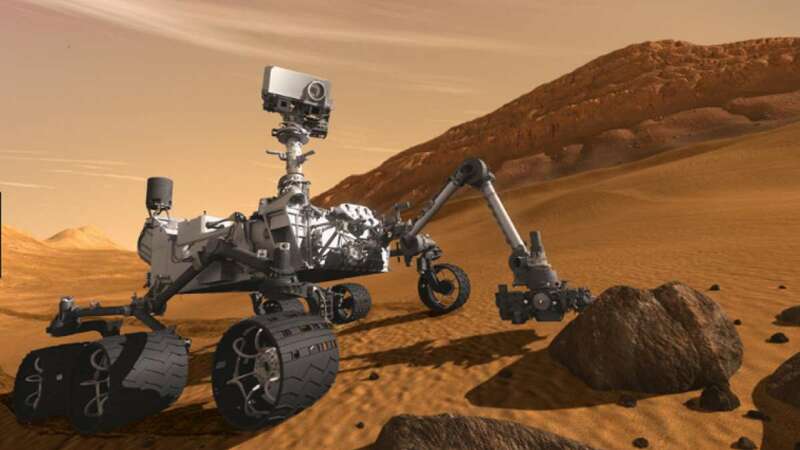 New Delhi : In the latest 'Red planet' observation, scientists with the help of data from NASA's Curiosity rover found that the rocks on Mars are more porous and less compacted than expected. Researchers from Arizona State University (ASU) in the United States, measured the density of rock layers in 154-kilometre-wide Gale Crater on Mars. The findings show that the layers are more porous than scientists had suspected. Scientists, therefore, got a novel technique to use in the future as the rover continues its trek across the crater and up Mount Sharp, a five-kilometre-high mountain at its centre. "What we were able to do is measure the bulk density of the material in Gale Crater," said Travis Gabriel, a graduate student at ASU. Gabriel worked on computing what the grain density should be for the rocks and ancient lake-bed sediments the rover has been driving over. "Working from the rocks' mineral abundances as determined by the chemistry and mineralogy instrument, we estimated a grain density of 2810 kilogrammes per cubic metre," he said in a statement. "However, the bulk density that came out of our study is a lot less—1680 kilogrammes per cubic metre," said Gabriel. The lower figure indicates that the rocks on Mars have a reduced density, most likely resulting from the rocks being more porous. Meaning, the rocks in red planet are less compressed than actually thought. Scientists have used engineering sensors were accelerometers, much like those available in every smartphone, have been used to determine its orientation and motion. NASA Curiosity's sensors do the same, but with much greater precision, helping engineers and mission controllers navigate the rover across the Martian surface. The team took the engineering data from the first five years of the mission and used it to measure the gravitational tug of Mars at more than 700 points along the rover's track. "The lower levels of Mount Sharp are surprisingly porous," said Kevin Lewis of Johns Hopkins University in the US. "We know the bottom layers of the mountain were buried over time. That compacts them, making them denser. But this finding suggests they weren't buried by as much material as we thought," Lewis said.